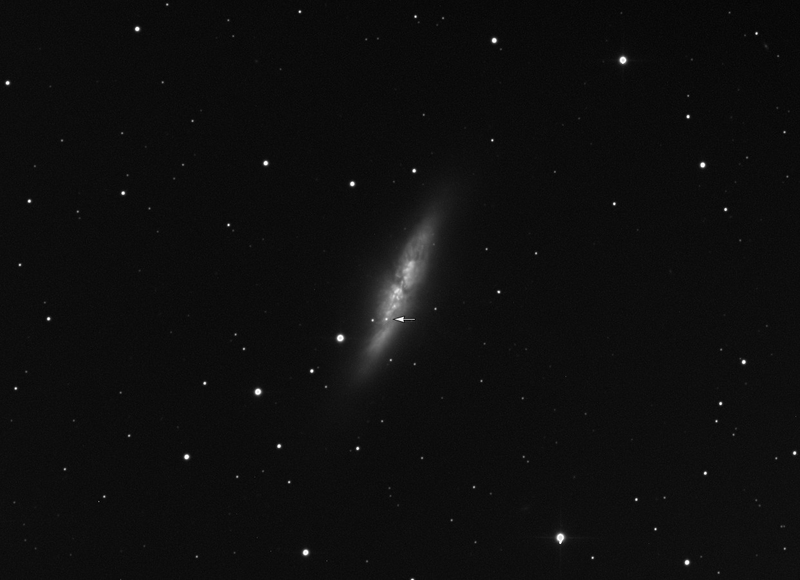 After more than four months since it was discovered, supernova SN 2014J in Messier 82 was observed again by the Virtual Telescope. The star looked much dimmer than last time we visited it. Above is the average of five, 120-seconds exposures, remotely taken with the 17″ robotic telescope unit and the supernova is indicated with a white arrow. The star was measured to be at mag. 14.4 R, almost two magnitudes fainter than late last March and four mags fainter than early Feb. 2014.